Grand Memories Punta Cana is a newly renovated, all-inclusive resort featuring an on-site waterpark located in a beautiful location. This resort provides an endless list of ways to have fun in the water. 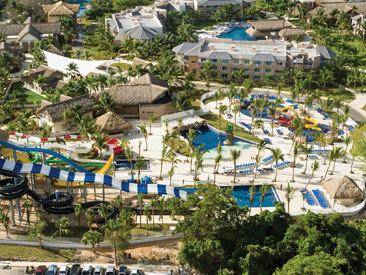 Cool off in the wave pool, brave the slides and tubes, relax in refreshing crystal clear pools, jump on splash pads and spray grounds and enjoy the many other activities in the lush, tropical surroundings of Punta Cana. Reopening after extensive renovations in the summer and autumn of 2018, Grand Memories Punta Cana sets the bar for luxury vacations higher than ever before! The all-inclusive resort is just a short walk or hotel transit ride from the magnificent shores of the Dominican Republic's Bavaro Beach. Enjoy a wonderfully fun-filled time with your family or just give in to your own inner child at the resort for anyone who loves an exhilarating day in the water. Come and cool off in the wave pool, slides, tubes, refreshing crystal clear pools, splash pads, spray grounds and enjoy a plethora of other activities in the lush, tropical surroundings. Grand Memories Punta Cana offers an extensive array of pleasing options such as impressive high–class, friendly service and unlimited food and beverages in five world-class restaurants known for their exceptional cuisine. Extensive activities schedules for children and adults are available throughout the day, including non-motorized water sports. As the sun begins to set, the night rhythms begin to rise. Memories Splash features the excitement of top-rated entertainers and the thrill of authentic island culture. With complete and modern facilities they will surprise you with a unique, relaxing and playful experience. 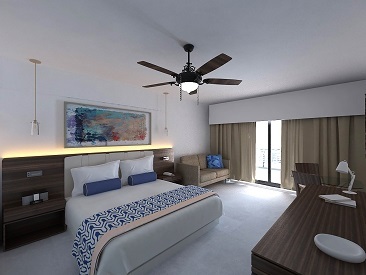 To bring guests the best possible experience in luxury family vacations, rooms, restaurants and sports bars will undergo major renovations during the summer and fall of 2018. 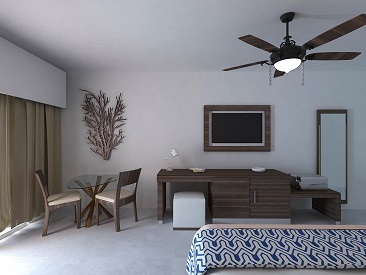 Upon reopening in November of 2018, the new facilities and accommodations will have a modern, upscale atmosphere while also offering comfort and relaxation in every aspect from recreation and entertainment to dining and sleeping. In addition, the water park will also get some extra attention to ensure all guests have maximum fun during their Punta Cana experience! *Complimentary based on a 4-night stay. Copy of marriage certificate required at time of booking. Valid for couples who have been married withing the last 6 months.